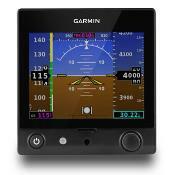 Garmin is pleased to announce the G5 electronic flight instrument for installation as a replacement directional gyro (DG) or horizontal situation indicator (HSI) in type-certificated fixed-wing general aviation aircraft. When paired with select VHF Nav/Comms or GPS navigators, the G5 can be considered primary for displaying magnetic heading, VOR/LOC guidance and/or GPS course guidance as well as distance and groundspeed. The installation of dual G5 electronic flight instruments can also eliminate the dependency on a failure-prone vacuum system in aircraft for attitude and heading information. Installation approval will be accomplished via an update to the G5 supplemental type certificate (STC) with a comprehensive approved model list (AML) containing more than 600 individual aircraft models, which is representative of the Federal Aviation Administration’s (FAA) commitment to encourage and authorize specific enhancements to aircraft to improve safety among the existing general aviation fleet. 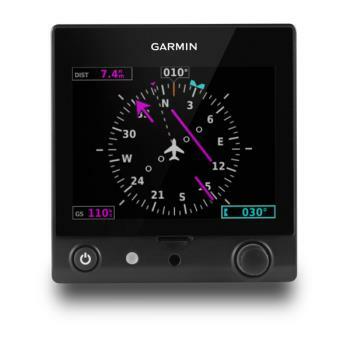 Featuring a bright, 3.5” sunlight readable liquid crystal display (LCD), the G5 electronic flight instrument will be approved for installation in place of the aircraft’s existing DG/HSI via a Garmin-held STC for hundreds of certificated fixed-wing aircraft models. Utilizing the new GMU 11 magnetometer (pictured left), the G5 electronic flight instrument displays magnetic heading. A dedicated rotary knob allows pilots to easily select and adjust course and make heading bug selections. Suitable for installation in place of a standard 3-1/8” (79 millimeters) flight instrument, the G5 measures 3” (76 millimeters) in depth with the back-up battery so it can easily be integrated into a wide range of aircraft. The G5 electronic flight instrument is also approved for flight under VFR and IFR conditions, offering an economical upgrade for thousands of aircraft owners. Please note that the G5 for Certificated Aircraft AML STC does not include support for autopilot interfaces. (pictured right) and GMU 11, the G5 will be approved as a primary source to display vertical and lateral GPS/VOR/LOC course deviation when available as well as groundspeed and distance to the next waypoint. In a G5 configuration paired with the GNC® 255 or SL 30 Nav/Comm radio via the GMU 11, the G5 will be approved as a primary source to display lateral and vertical course deviation when available. Additionally, a single magnetometer is capable of supplying magnetic heading information to 2 G5 electronic flight instruments simultaneously. The G5 electronic flight instrument offers a wide range of flexible panel configuration options along with the reliability associated with a modern electronic flight instrument. Up to 2 G5 displays can be incorporated into a single aircraft panel in several approved combinations, including the attitude, DG/HSI or turn coordinator positions. In dual installations, a secondary G5 can revert to display attitude information in the unlikely event of a failure in the primary attitude indicator position. A pilot-selectable menu on the G5 DG/HSI enables the manual selection and interchange between the attitude indicator and DG/HSI display. Each G5 for certificated aircraft includes a 4-hour back-up battery for use in the event of an aircraft electrical system failure. In dual G5 configurations, customers receive dual ADAHRS and dual back-up batteries, offering safety-enhancing redundancy.